Focus Lumber Bhd, Sabah’s based manufacturer of plywood, veneer and laminated veneer lumber (LVL), is schedule to be listed in Main Market on 28th April 2011. Focus Lumber’s IPO consists of public issue of 12.2 million new ordinary shares at an IPO price of RM0.60 per share with RM0.50 par value. Out of this, 9 million shares are allocated to Malaysian public. On top of new shares issues, 5.2 millions existing shares are for sale to identified and Bumiputera investors. The IPO will raise RM7.32 million in proceeds which will be used to fund working capital. Focus Lumber was established in 1989. Its products mainly sell to the United States, Taiwan, South Korea, Singapore, Australia, China, India and Mexico. More information regarding the company can be found in Focus Lumber webpage. Focus Lumber have no fixed dividend policy. However, for financial year end 31st December 2011, Focus Lumber’s board intends to distribute not less than4.4 sen per share net dividend, representing a net dividend yield of 7.3% based on the IPO Price. The table below are financial summary for Focus Lumber Bhd. Bank Islam is the principal adviser,managing underwriter,underwriter and placement agent while BIMB Securities is the underwriter for the IPO. For those who are interested in Focus Lumber IPO you may subscribed at ATM machines or via Internet Banking. The subscription period is opened until 18th April 2011 at 5pm. Tentative balloting date is on 20th April while allotment date is on 26th April 2011. View Focus Lumber Bhd prospectus in Bursa Malaysia webpage. 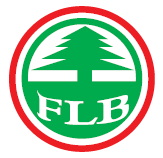 Focus Lumber Bhd stock name in Bursa Malaysia is “FLBHD”. What do you think about Focus Lumber IPO? Are you going to subscribe?previously, OSK identified Lumber Stocks benefited from earthquake in Japan. worth to subscribe? PE seems to be attractive. For me I will. Dividend & PE look attractive. There is another new listing Boilermech (if im not mistaken) which is u think is better? Yes, another IPO, Boilermech. For comparison, for Focus Lumber, there will not much growth but quite good dividend while Boilermech, no dividend policy but growth is very good.